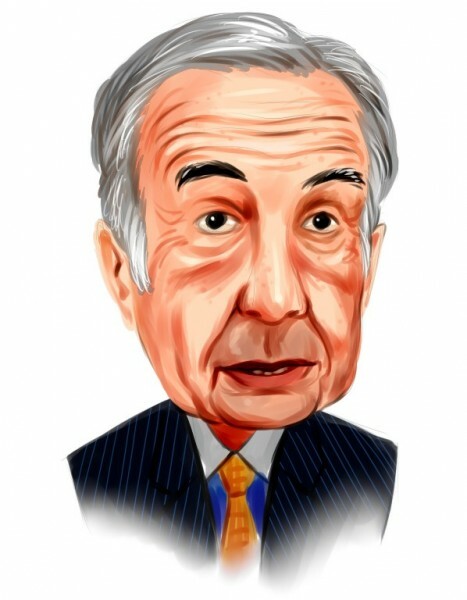 The private equity investor, billionaire and CEO of Icahn Capital LP, Carl Icahn, is unquestionably one of the greatest investors in the history of the stock market. Icahn’s hedge fund is based in New York City and it mainly invests in the following sectors: railcar, real estate, materials, and auto companies. Over the last five years the average annual return of Icahn’s fund has been 26.6% versus 16.5% for the S&P 500, while the figure since the inception of the fund stands at 16.6%. Recently, the master money manager’s hedge fund submitted its 13F filing with the SEC, which among other things, gave us another glimpse at his new positions in Gannett Co Inc (NYSE:GCI) and Cheniere Energy Inc (NYSEAMEX:LNG), both of which we previously covered when those positions were first revealed. In this article we’ll review the top stakes of the legendary activist investor, represented by Icahn Enterprises LP (NASDAQ:IEP), Apple Inc (NASDAQ:AAPL) and CVR Energy Inc (NYSE:CVI), as well as touch upon his disposal of Netflix Inc (NASDAQ:NFLX)‘s shares, which had been revealed prior to this filing as well. We pay attention to hedge funds’ moves because our research has shown that hedge funds are extremely talented at picking stocks on the long side of their portfolios. It is true that hedge fund investors have been underperforming the market in recent years. However, this was mainly because hedge funds’ short stock picks lost a ton of money during the bull market that started in March 2009. Hedge fund investors also paid an arm and a leg for the services that they received. We have been tracking the performance of hedge funds’ 15 most popular stock picks in real time since the end of August 2012. These stocks have returned 118% since then and outperformed the S&P 500 Index by over 60 percentage points (see more details here). That’s why we believe it is important to pay attention to hedge fund sentiment; we also don’t like paying huge fees. Coming back to his top positions, Icahn Capital held in his portfolio around 112.29 million shares of Icahn Enterprises LP (NASDAQ:IEP) worth $9.73 billion. The $9.30 billion holding company has lost about 20.59% of its value during 2015, yet the pain of investors was partially offset by its 8.17% dividend yield. Among the other prominent investors that we follow, Murray Stahl’s Horizon Kinetics owned some 3.89 million shares of Icahn Enterprises LP (NASDAQ:IEP) worth $337.32 million. Let’s check out Apple Inc (NASDAQ:AAPL) next, in which Icahn Capital kept its equity stake unchanged during the second quarter. As of June 30, the fund held 52.76 million shares valued at $6.62 billion. Until the middle of July the outstanding performance of the tech giant had created the basis for speculation about the soon-to-be $1 trillion company. However, it seems that investors haven’t shared the general optimism of the public as of late, as after the latest earnings announcement the stock has lost around 12%. Even though the EPS of $1.85, total sales of some $50 billion, and 39.7% gross margins all came in above analysts’ estimates, there are numerous fundamental problems hiding behind the numbers that appear to now be weighing down the stock. In particular, Apple Inc (NASDAQ:AAPL) reported iPhone unit sales of 47.4 million, which were well below analysts’ estimates, who appeared to be anticipating stronger growth in Asia. Ken Fisher’s Fisher Asset Management is also among the largest shareholders of Apple Inc (NASDAQ:AAPL), keeping in his portfolio some 11.01 million shares with a market value of $1.38 billion.